According to the organizers of the free health awareness tests in Anguilla, the Spanish community there has supported and participated in the successful event. 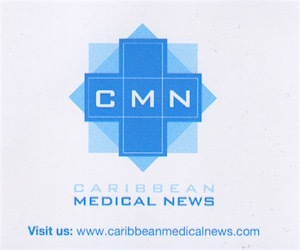 The event, a health fair which took place at the Spanish Church in the Quarter involved the Anguilla Community Network (ACAN), the National AIDS Programme and the St. James Medical School. ACAN’s “Project Hope” was part of the fair. Project Hope is sponsored by the Governor’s Office. The health fair included testing for blood sugar levels, blood pressure and cholesterol screening and also immediate HIV testing. Senior Health Educator, Mrs Jennifer Gumbs, said the Health Promotion Unit was at the fair to offer counselling to persons suffering from diabetes, hypertension, blood pressure, prostate and other cancer illnesses, etc. She was pleased with the interest shown by various persons who had also taken advantage of the printed information made available to them. Mrs Marza Demis-Adams, Director of the National AIDS Programme, stressed that the focus of the health fair was on total wellness and indicated that last year 250 HIV screenings were done in the community, compared with an average of 900 a year at the hospital laboratory. Mrs Demis-Adams said that the majority of the funding for the National AIDS Programme was obtained from the European Union and managed by PAHO’s HIV/STI Unit in Trinidad and is a five year project ending this year.